Help wise Hatshepsut restore the ancient civilization! Egypt: Secret of five Gods was available as a giveaway on July 7, 2018! Help Hatshepsut restore Egypt! After Ra disappears, a massive sandstorm destroys Egypt and now Hatshepsut has been chosen by Bastet to repair the country. 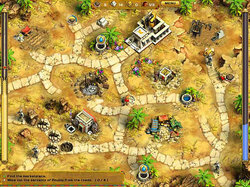 Drive the dark gods Seth and Anubis away by rebuilding important statues and saving the day in this incredible Strategy game. Recruit powerful warriors to scare away the scavenging bandits and build new farms to feed the populace. Note: if you get d3dx9_43.dll error, please update DirectX on your PC! 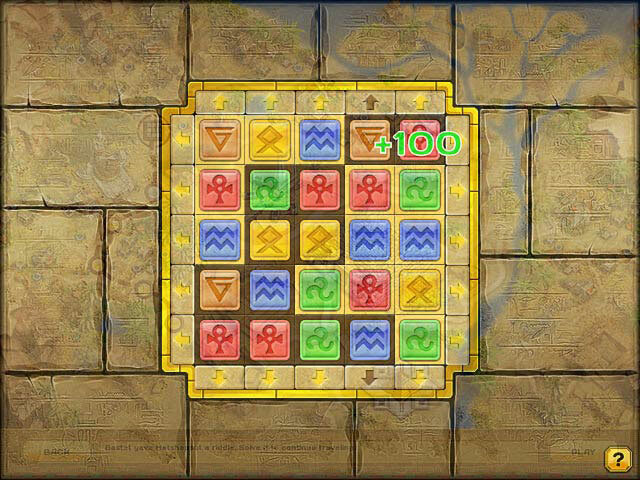 How would you improve Egypt: Secret of five Gods? Yep, dll error. Given all the bad experiences others have had, I'll just wait for tomorrow's game. We must be getting only old and buggy versions of games these days. Many of the last games in giveawayoftheday have not been playable. I have ended up downloading them from myplaycity and some of them run fine. 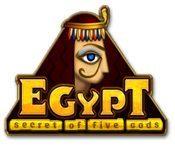 Todays Eqypt: Secret of five Gods installed and then when opened minimized to tray AND locked up my mouse. Only by hitting "enter" and closing the program in the tray did I get control of my mouse back. Tried popping that .dll file into folder and that made no difference. I'll try another game another day. It certainly has been a wonderful run of great games all these years. Thank you. We must be getting only old and buggy versions of games these days. Many of the last games in giveawayoftheday have not been playable. I have ended up downloading them from myplaycity and some of them run fine. 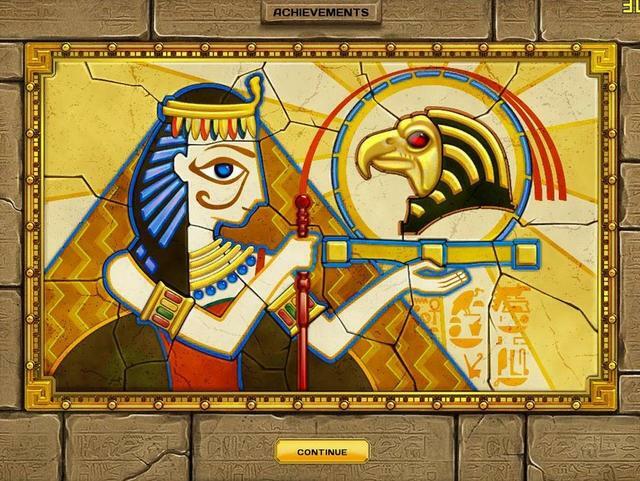 Todays Eqypt: Secret of five Gods installed and then when opened minimized to tray AND locked up my mouse. Only by hitting "enter" and closing the program in the tray did I get control of my mouse back. Tried popping that .dll file into folder and that made no difference. I'll try another game another day. It certainly has been a wonderful run of great games all these years. Thank you. Can anyone tell me why it is taking over 10 minutes to download a 241MB zip file? My download speed is 150Mbps. I speedtested my connection and it and it is coming back good. Yes, the gamegiveaway site only has so much bandwidth. If more than one person is downloading the game at any one time, the download speed is halved. The more community members downloading, the slower the speed. the larger the download file, the more community members there are likely to be, so we get slow (and sometimes excruciatingly slow) download speeds. The best time to download is usually when the giveaway first starts because the greatest number of downloads is via America and most are still asleep when the game goes live, or towards the end of the giveaway. On Win10 64bit, I first got the dx3-error, after I copied the file to the gamr folder, it crashed on a 0x00000007 error. The missing file can be found in any of the Play City games folders. I copied from there. The game started - doesn't seem to be any way to bypass the long story parts - but after getting to "play" I can't build the farm. The resource bar tells me I have enough resources, but play is dead. So, stuck after two moves. On Windows 7 I couldn't find that missing .dll file in Windows\System32, but found it in other MPC game folders. It makes the game playable but as Anne mentioned in comment 5 the "full screen" window is small. In my case the aspect ratio is wrong so it's also distorted, pushed in from the sides making everything narrower. If I uncheck the full screen box the size is about the same but the aspect ratio is correct. In the gameplay department: you can't click on the next object until a worker is available even if you have the necessary resources. Also when you mouse over an obstacle/resource in the road it will show you what resources are required but not how many more you need, forcing you to check the resource bar and figure it out before planning your next move. These give the game a slightly tedious feel to me. On Windows 7 I couldn't find that missing .dll file in Windows\System32, but found it in other MPC game folders. It makes the game playable but as Anne mentioned in comment 5 the "full screen" window is small. In my case the aspect ratio is wrong so it's also distorted, pushed in from the sides making everything narrower. If I uncheck the full screen box the size is about the same but the aspect ratio is correct. In the gameplay department: you can't click on the next object until a worker is available even if you have the necessary resources. Also when you mouse over an obstacle/resource in the road it will show you what resources are required but not how many more you need, forcing you to check the resource bar and figure it out before planning your next move. These give the game a slightly tedious feel to me. After doing the 'dll shuffle' , which seems to me could have been taken care of by the publisher, found game to be boring and dull. Considering some of the TM games out there are much more (Dracula series, weather series,) gave this one a 1 out of 10. Uninstalled. Tried downloading that extra file and windows 32 said cannot find. Tried getting it and said it would take 46min. to do so. Ahh enough already. Plenty of games to get so not worth spending allthat time to get it. Apparently good old-fashioned Windows XP must have the mysterious DX9 file included in its updates already, I had no problems getting the game running today with WinXP SP3. 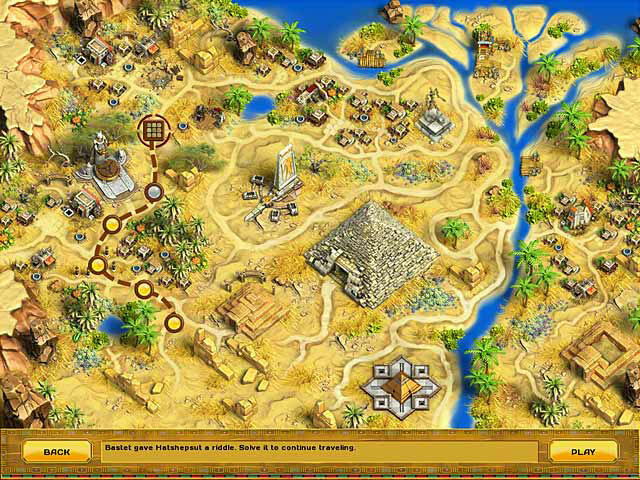 In case the game description wasn't clear enough, this is a "time-management" game where you have to rebuild the Egyptian villages by digging up stones, farming food, and all the regular TM game types of things. 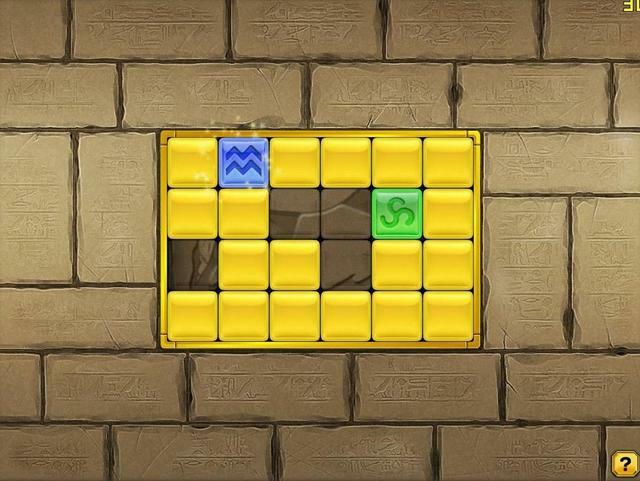 Not sure what the part that looks like a "Match-3" game is yet, I only went through one level to check whether it was working, so far. Apparently good old-fashioned Windows XP must have the mysterious DX9 file included in its updates already, I had no problems getting the game running today with WinXP SP3. 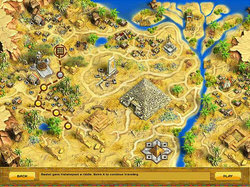 In case the game description wasn't clear enough, this is a "time-management" game where you have to rebuild the Egyptian villages by digging up stones, farming food, and all the regular TM game types of things. Not sure what the part that looks like a "Match-3" game is yet, I only went through one level to check whether it was working, so far. I have gone to the BigFish Forum and there seems to be a problem with Mission 6 and "trading". Cannot continue in game until either there is a fix, or someone explains further. I have followed the Camel comes to trading post, then click the icon, click either choice, (if you have enough products to trade), then click the hand. 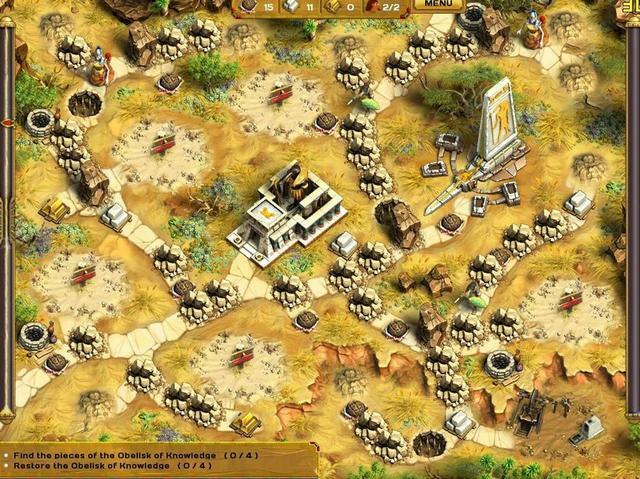 The camel leaves and returns, however, there is NO increase in the gold. Stuck. I have written to BigFish, however, there seems to be an issue for others. BigFish may not respond since this game is through GOTD. Copied the d3dx9_43.dll file from :\Windows\System32 and all is good. 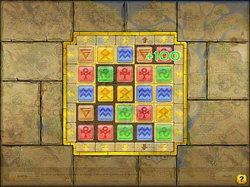 The game plays in a smaller window (despite checking "full screen" in the settings). Makes things a bit of a challenge. I enjoy these types as a change from the match 3 and Hidden Object (which are my favourites). Copied the d3dx9_43.dll file from :\Windows\System32 and all is good. The game plays in a smaller window (despite checking "full screen" in the settings). Makes things a bit of a challenge. 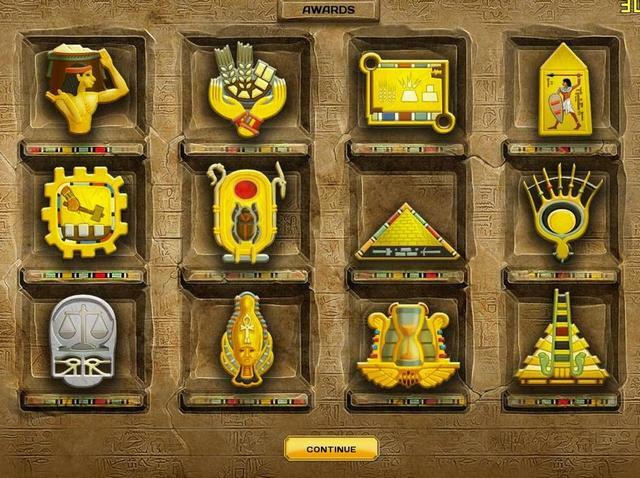 I enjoy these types as a change from the match 3 and Hidden Object (which are my favourites). Thanks Whiterabbit. I also had the issue of the d3dx9_43.dll file not found. I followed the comment #3 from this comment thread and it is working now. I am running Wind 7 Pro Home. Thanks for the help. With Windows in Auto-Update mode DirectX should always be up to date. copy (not cut!) the file d3dx9_43.dll from the Windows source directory to the directory where today's Egyptian game is installed. Also, the d3dx9_43 file can be copied for earlier MyPlayCity game directories installed on your PC. With Windows in Auto-Update mode DirectX should always be up to date. The file d3dx9_43.dll can be found in <X>:\Windows\System32 A fix that worked here: copy (not cut!) the file d3dx9_43.dll from the Windows source directory to the directory where today's Egyptian game is installed. Also, the d3dx9_43 file can be copied for earlier MyPlayCity game directories installed on your PC. "Also, the d3dx9_43 file can be copied for earlier MyPlayCity game directories installed on your PC." I found one of these files in each game folder, much easier than trying to run the gauntlet of Win10 that doesn't seem to believe anybody should be able to see the file in case they break their computer. "Also, the d3dx9_43 file can be copied for earlier MyPlayCity game directories installed on your PC." This worked. Thanks. I found one of these files in each game folder, much easier than trying to run the gauntlet of Win10 that doesn't seem to believe anybody should be able to see the file in case they break their computer. sheep, What do you see? Did it install well? Can you see the map, where it should be installed? When you start the game, is there any reaction? And did you read the line "Note: if you get d3dx9_43.dll error, please update DirectX on your PC!" In the map, where it is installed, sometime there are other .EXE. Try one of them. sheep, What do you see? Did it install well? Can you see the map, where it should be installed? When you start the game, is there any reaction? Any screen? And did you read the line "Note: if you get d3dx9_43.dll error, please update DirectX on your PC!" In the map, where it is installed, sometime there are other .EXE. Try one of them. Read comment #3 above. It tells where on your computer you can find the missing file and how to copy it into the folder for today's game to get it working. sheep, Read comment #3 above. It tells where on your computer you can find the missing file and how to copy it into the folder for today's game to get it working. Sorry, I had family turn up unexpectedly so wasn't able to check this game out. They are staying over, so not sure if I'll be posting tomorrow either. (The reviews can take several hours to prepare including the playtime).